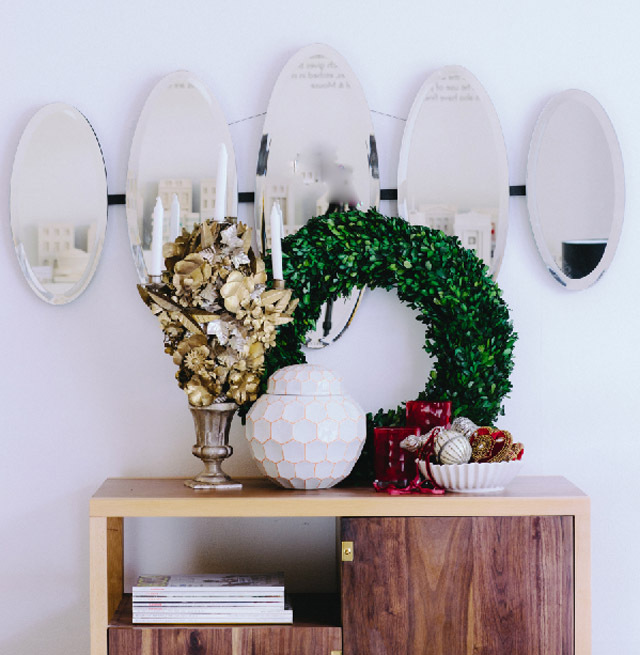 Are you stuck in a Christmas decorating rut? 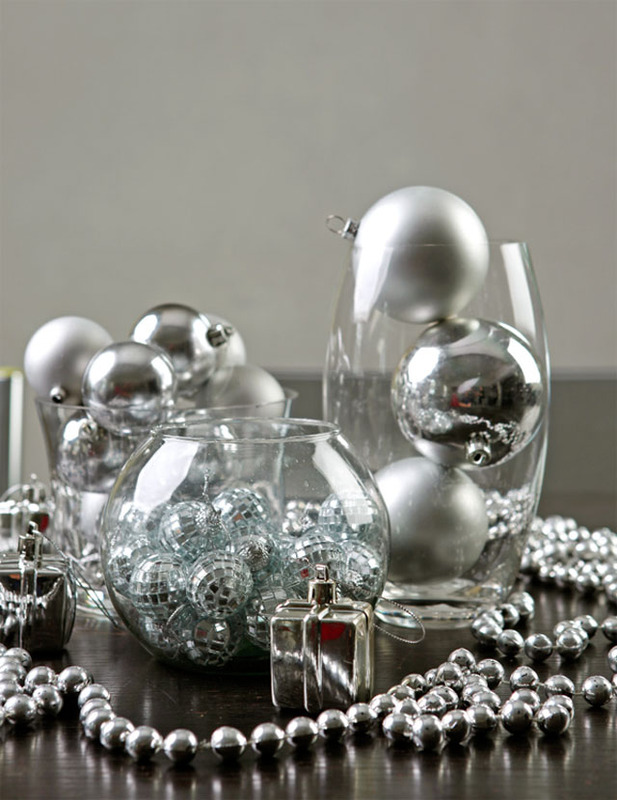 Update your holiday decor with these useful and affordable tips from an interior designer. Try traditional style with a twist. Trad-style Christmas décor features the usual green-white-red color scheme, with green Pine Christmas trees and wreaths. 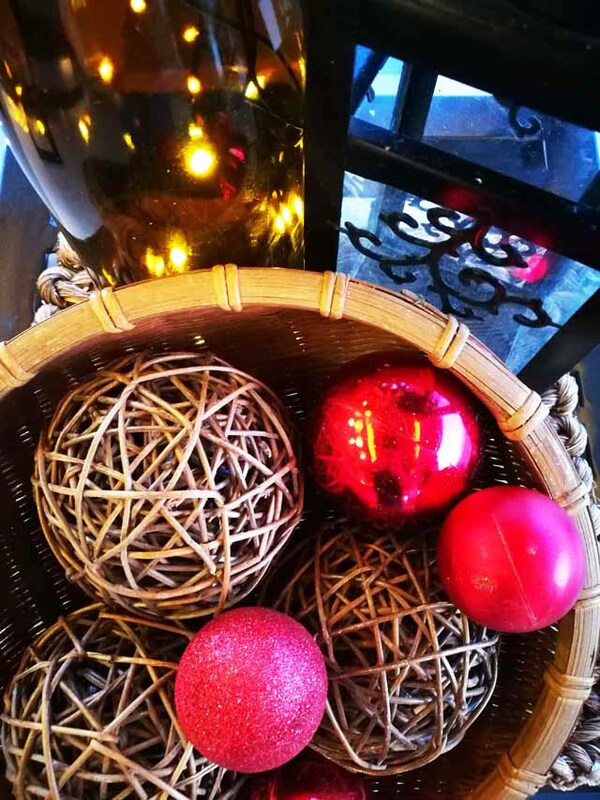 “Most clients don't want to take the risk of trying out new themes most especially when it comes to Christmas decorating, [so] traditional Western Christmas styling brings a lot of wonderful memories, thus most homeowners tend to stick to it,” Aaron says. You can add a twist to traditional holiday décor by using topiaries instead of the usual Christmas trees, and adding gold to accent the color scheme. 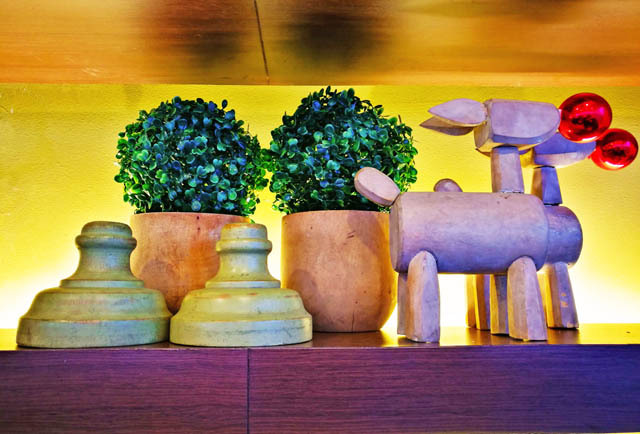 “Locally-produced décor with Filipino elements and materials are also a popular choice for a lot of clients,” shares Aaron. 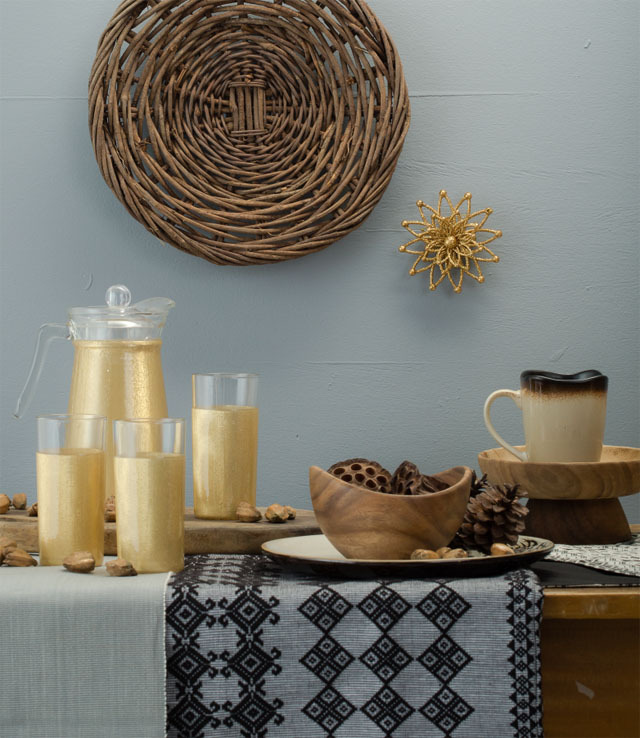 “While some still want the traditional parol theme, some like to have modern twist to it.” In the pictured vignette, stylist Dagny Madamba added a table runner in a Philippine tribal fabric to add a local touch. “Younger clients are more willing to take a risk and try out the non-traditional path as far as Christmas styling is concerned,” says Aaron. 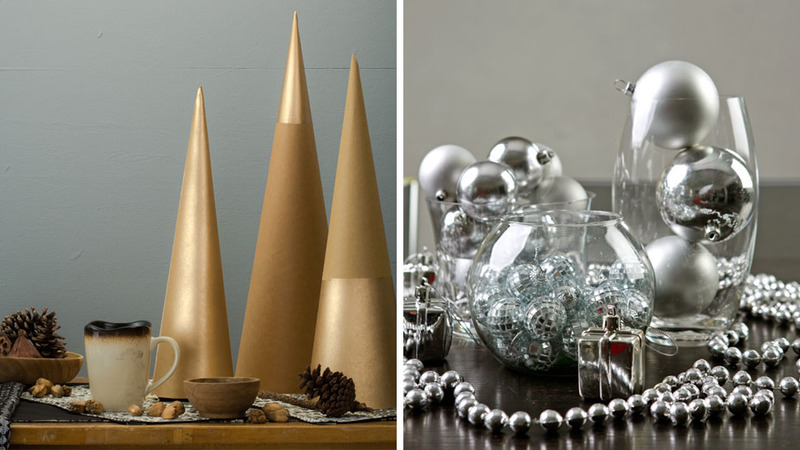 “Some of them even go for the extreme: minimalist Christmas styling!” You can even add metallics, whites, and even black décor into a contemporary setting. “Take photographs, draw them, record them, take videos. You will realize that the Christmas topic alone may branch out to a lot more ideas,” says Aaron. 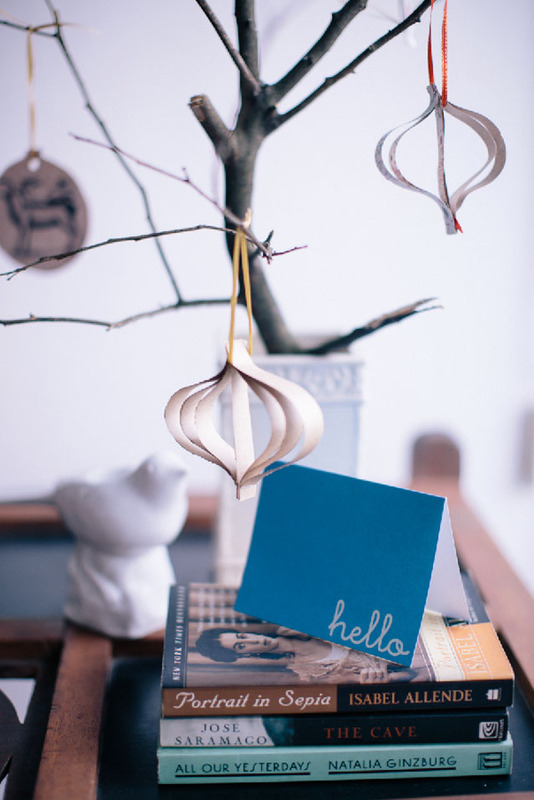 Some of these ideas may be season-less, and you can keep your décor up way after Christmas. Hit the stores that specialize in Christmas décor. Aaron recommends venturing out to the popular holiday décor haunts like Dapitan, Japan Surplus, and Divisoria for affordable orbaments. Also, many major stores like SM Home, Robinsons, and Crate & Barrel launch their holiday collections early and have special displays that you can get inspiration from. Create your own Christmas story. 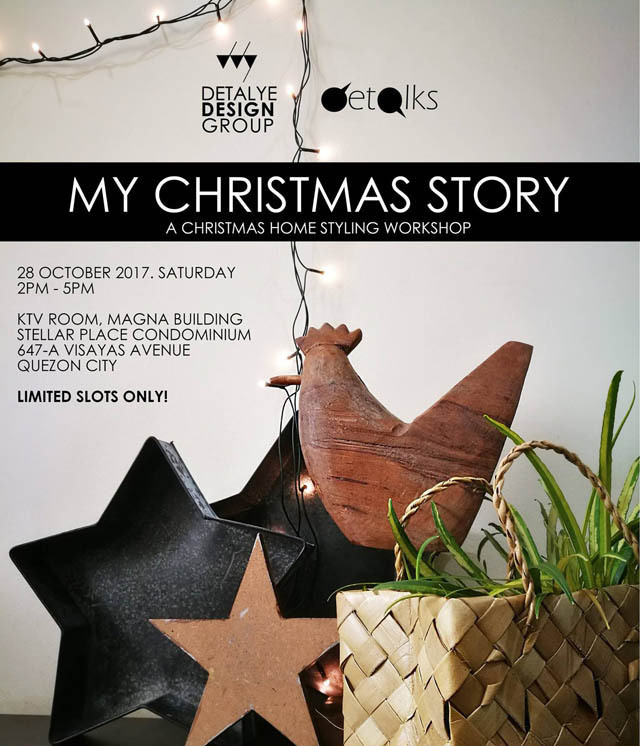 You can get more styling tips from Aaron and his team in person in “My Christmas Story: A Christmas Home Styling Workshop” on October 28, 2-5pm, at Stellar Place Condominium, 647-A Visayas Ave., Quezon City. To register, click on this link, text Nicka at 09157133597, or follow Detalye Design Group on their Facebook page.